Hello and welcome! 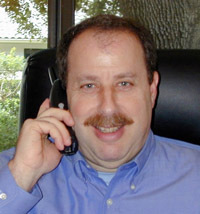 My name is Stan Dubin and, for over twenty-five years, I've been helping people live more rewarding and productive lives. After writing and publishing three books, a newsletter and two podcasts, I decided to make them all available here. My first book — The Small Business Success Manual — has helped over 10,000 business owners and employees to increase production and make life in the workplace considerably more enjoyable! My newest book — How To Hire The Right People — will substantially improve your success in hiring the right people. My book on relationships — When The Thrill Is Gone — includes material that has helped thousands improve their important relationships. In good times and bad, the tools in this book will get you there. How to Hire The Right People will help you hire people who stick around and get the job done.